The Mauritius de Nassau Marathon has reached yet another edition! The consecutive Ninth, giving the opportunity to the corridors of Pernambuco and the other neighboring states to reach the emblematic mark of 42,192 meters. Repeating the success that had already achieved in the edition of last year when they managed very hard to implaced this new course of only two laps! We who always run in the back of the events, to accompany the sweaty conquests of those who were trying for the first time to complete this mega distance, we were the trophy of the indiscriminate emotions of each of the reports that we find during the course. About 800 athletes were able to quit in order to complete the dreamed 42.192km of the Marathon, but it was also lovely to see the number of runners seeking to reach the 21st. Running a half marathon and a marathon was a feat for little until a while back. And as there were few entries in the first editions, the competitors lived with the loneliness during almost every route transmitting the attempt in distressing moments. This year was still a difficult test, but with only two laps, it was possible to interact with the other runners in front of him ! The explanation for this is very latent still in the Marathon Mauricio de Nassau, still by the repetition of the 21km and a great amount of athletes opted for the 5 or 10 kilometers leaving almost 2,000 participants trying to complete the greater distances almost without the same brightness of the beginning. Our dream, as runners that we are and passionate about sports, is that one day we will have 42, 192km of unpublished route, which will provide a greater integration with several wonderful tourist places of the beautiful city of Recife and yes yes, many will look for in those the courage and incentives needed to try to win new challenges and new brands. Even with the start being aptly very early, we are getting the population accustomed to waking up at dawn and applauding, encouraging the athletes especially those who are in the second lap of the 42, 192 km! 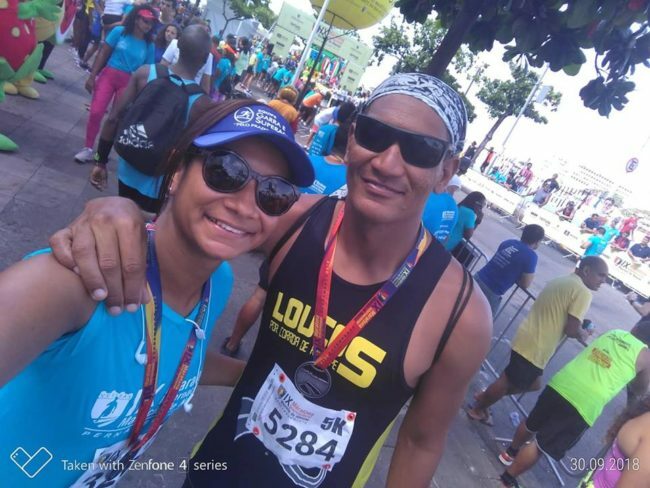 The ninth edition of the Mauritius de Nassau marathon is making culture because it is educating the population to be supportive, as no other proof has a magic: Reaching people vibrating, bringing the sense of spirit of companionship that comes out more and more in the street races. 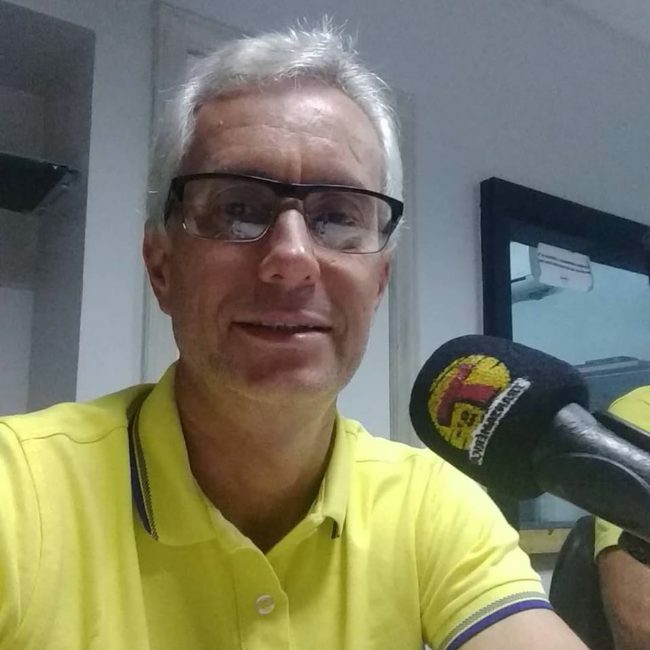 PURPOSE: Without a doubt, the success of the Marathon Mauricio de Nassau has already come from the eighth edition with the changes promoted in the course. Even so is our indignation, because we run the world outside and there is a curious question or question: Recife is known for its bridges, several other tourist attractions and historical. Could it be that no authority can liberate part of Boa Viagem Avenue for an event that only helps to make Recife bigger? In every coastal city the route passes its beaches and Boa Viagem is one of the main postcards of Recife, if not the largest. 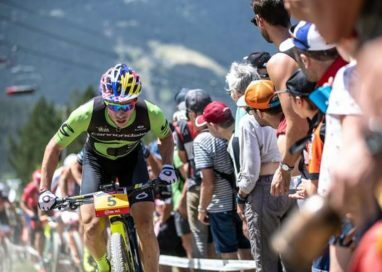 Even with these restrictions is our congratulations to the organizers who knew how to listen to the complaints of past editions and have been able to improve considerably the course since last year. In the basic question of hydration was considered satisfactory level, but still lacking gele for who is being accompanied by the ambulance, ie behind, in the heat of 10am in the morning, trying to complete the race! I congratulate the athletes and their families who knew how to encourage each athlete throughout the preparation phase until the moment of crossing the finish line! For those who were not present, there is only the invitation to begin the training to participate in the historic and memorable 10th Mauritius Nassau International Marathon that will be held in 2019! 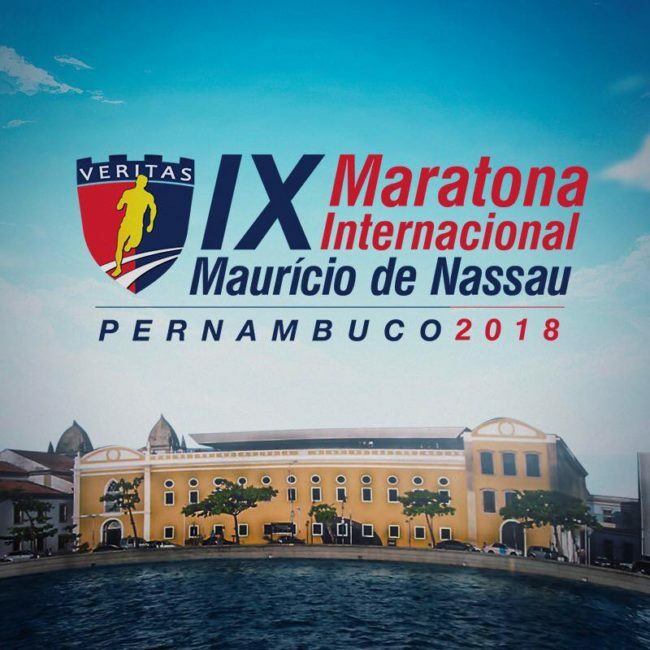 A Maratona Maurício de Nassau chegou a mais uma edição! A Nona consecutiva, dando a oportunidade aos corredores de Pernambuco e dos demais estados vizinhos atingir a marca emblemática dos 42.192 metros. Repetindo o sucesso que já havia alcançado na edição do ano passado quando conseguiram com muita garra implacar esse novo percurso de apenas duas voltas! Nós que sempre corremos na parte de trás das provas, para acompanhar as conquistas mais suadas dos que estavam tentando pela primeira vez completar essa mega distancia, nos coube o troféu das emoçoes indiscritiveis dos relatos de cada um que encontramos durante o percurso. Cerca de 800 atletas conseguiram largar em busca de completar os sonhados 42,192km da Maratona,mas era também lindo ver a quantidade de corredores que buscavam atingir os 21. Correr meia maratona e uma maratona era um feito para pouco até um tempo atrás. E como existia poucos inscritos nas primeiras edições, os competidores conviviam com a solidão durante quase todo percurso transformando a tentativa em momentos angustiantes .Esse ano ainda foi uma prova dificílima,mas com apenas duas voltas, foi possível interagir com os demais corredores à sua frente! A explicação para isso está muito latente ainda na Maratona Mauricio de Nassau, ainda pela repetição dos 21km e uma grande quantidade de atletas optou pelos 5 ou 10 quilômetros deixando quase 2 mil participantes tentando completar as maiores distancias quase sem o mesmo brilho do inicio. Nosso sonho, como corredores que somos e apaixonados pelo esportes, é que um dia tenhamos os 42, 192km de percurso inéditos, o que proporcionará uma maior integração com diversos e maravilhosos lugares turísticos da bela cidade do Recife e ai sim, muitos irão buscar nesses atrativos,a coragem e incentivos necessários para tentar vencer novos desafios e novas marcas. Mesmo com a largada sendo, acertadamente, muito cedo, estamos conseguindo com que a população acostume-se a acordar na madrugada e aplaudir, incentivando os atletas principalmente aqueles que estão na segunda volta dos 42, 192 km! A nona edição da maratona Maurício de Nassau está fazendo cultura, pois está educando a população a ser solidária, pois nenhuma outra prova tem uma magia: Alcançar pessoas vibrando, trazendo o senso de espírito de companheirismos que aflora cada vez mais nas corridas de rua. PERCURSO: Sem sombra de dúvidas o sucesso da Maratona Mauricio de Nassau já veio da oitava edição com as mudanças promovidas no percurso. Mesmo assim fica nossa indignação, pois corremos mundo afora e fica uma pergunta ou indagação curiosa: O Recife é conhecido por suas pontes, diversas outras atrações turísticas e históricas. Será que nenhuma autoridade consegue liberar parte da Avenida Boa Viagem para a realização de um evento que só ajuda a engrandecer o Recife? Em toda cidade litorânea o percurso passa por suas praias e Boa Viagem é um dos principais cartões postais do Recife, isso se não for o maior. Mesmo com estas restrições fica o nosso parabéns aos organizadores que souberam ouvir as reclamações das edições passadas e souberam melhorar consideravelmente o percurso desde ano passado. No quesito básico de hidratação foi considerada de nível satisfatório, mas ainda falta gêlo para quem está sendo acompanhado pela ambulância, ou seja, atrás, no calor das 10h da manhã, tentando completar a prova! Parabenizo,principalmete, os atletas e seus familiares, que souberam incentivar cada atleta durante toda a fase de preparação até a o momento de cruzar a linha de chegada! Para quem não esteve presente só resta o convite de iniciar os treinos para participar da histórica e memorável 10ª Maratona Internacional Maurício de Nassau que será realizada em 2019! The course of the 9th Mauricio de Nassau Marathon, on September 30th, will have two 21km rounds this year. In addition to the 42 km, the race has three more distances: 21 km, 10 km and 5 km. Are you starting your racing career? @Maratonamauriciodenassau_ is also for you !! Challenge yourself to run in the 5km or 10km and achieve new goals. Sign up now at www.maratonamauriciodenassau.com.br. 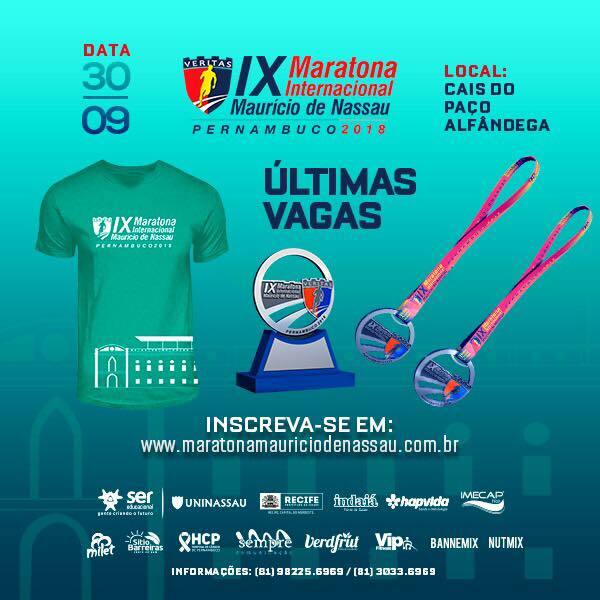 The 9th International Marathon Mauricio of Nassau will move the city of Recife on September 30, 2018, starting at 05h30 in the morning in Recife Antigo. Five thousand runners, athletes and marathon runners are expected. 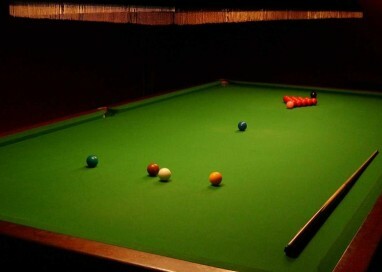 Including the elite squad, including Brazilian and international highlights of the sport. 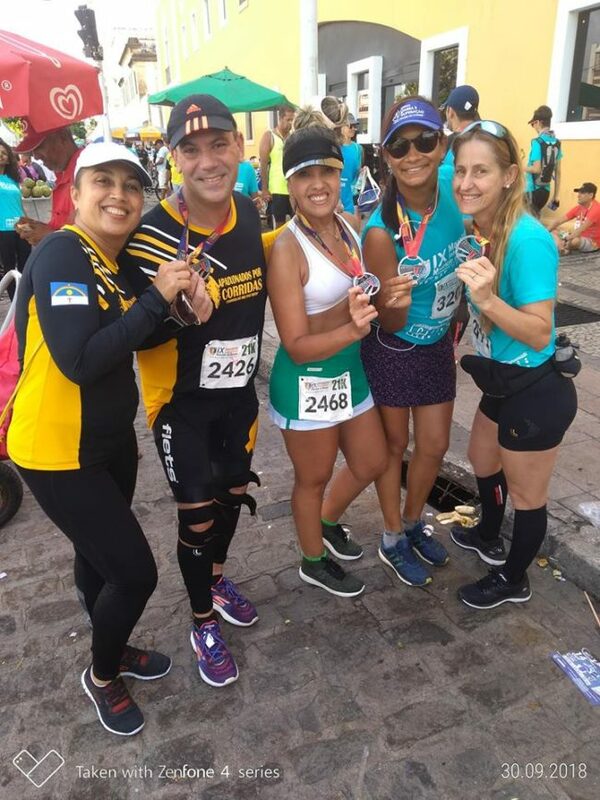 With departures at 5:30 a.m. for the 42km, 21km and 6am marathon for 05 and 10 at Old Recife, the riders will be able to opt for courses of 5, 10, 21 (half marathon) and 42 km (marathon) and will pass by tourist areas of Recife. 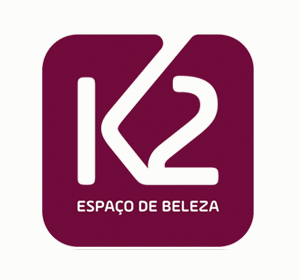 The 9th Mauricio de Nassau International Marathon is sponsored and held by Grupo Ser Educacional, Tampa Entertainment and Instituto Ser Educacional, sponsored by the City Hall of Recife and the Government of the State of Pernambuco. Considered one of the main street races in the north and northeast of the country, the ninth edition of the Mauritius de Nassau International Marathon is already scheduled to take place. With start at the Cais da Alfândega, the marathon will be held on September 30th and will be new at the time of the race, which will start at 05:30 in the morning. Registration is open from July 27th. According to Tampa Entertainment, more than 5,000 runners, athletes and marathoners are expected for the 5,10, 21 (half-marathon) and 42 km (marathon) events, and to encourage athletics the top five will be awarded with medals, trophies and cash prizes. In addition to the general classification, athletes with special needs and university will also be subsidized. 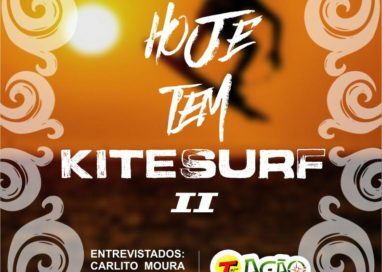 Registration will be made through the website www.corre10.com.br and the registered rider will be entitled to a kit containing an event shirt, timing chip, breast number and any gifts from the sponsors. The start will be at 5:30 p.m. on 30 September. 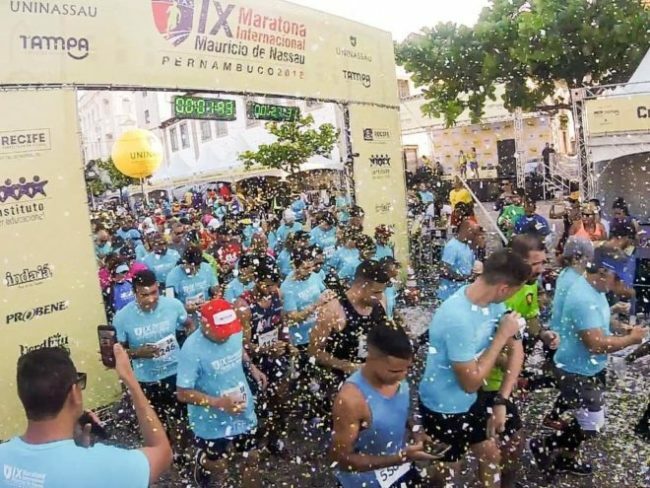 The Mauritius de Nassau Marathon, in Recife, on October 1, had 371 graduates (332 men and 39 women), in addition to the participants in the other three distances: 5, 10 and 21 km. The route was two laps of 21 km and again, as always occurs, the heat was the main opponent, even with the early start at 6 o’clock. The winners were Marcos Antônio Pereira (2:27:30) and Mary Emanuella da Costa (3:19:51). 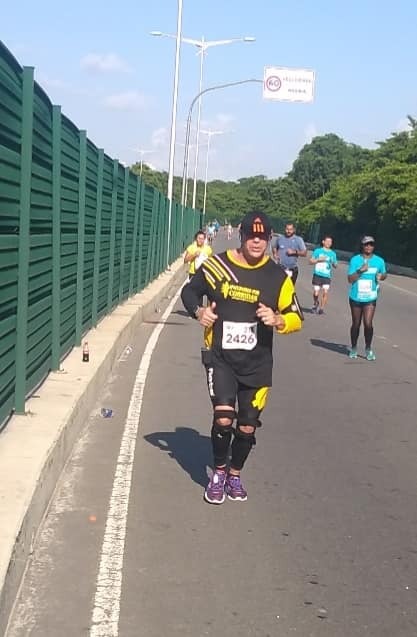 “It was my 44th marathon, I decided to participate already knowing the main difficulty: very hot The registration procedure was quiet, through the internet, although it was strange that they only accept payment by bank transfer. 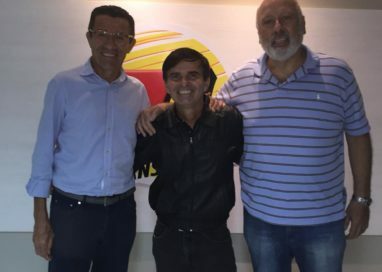 Overall, I found the organization of the race to be the right one for a marathon that is obviously smaller in size than other more traditional Brazilian marathons such as São Paulo, Rio de Janeiro, Porto Alegre and Curitiba, “said Alberto Bogliolo, a Belo Horizonte subscriber. “I found only a little deficient the signal of the course for who made the marathon.At the beginning of the second lap, by bad signage, I ran a certain part in the counterflow of whoever finished the first, and should be in another track. The day dawns early in Recife at this time of the year, around 5 o’clock, and at 6 o’clock in the morning, it was already very hot, only for a brief period there was a refreshment with a light rain, but soon it returned Finally, a different challenge, because of the heat from start to finish, “added the subscriber. 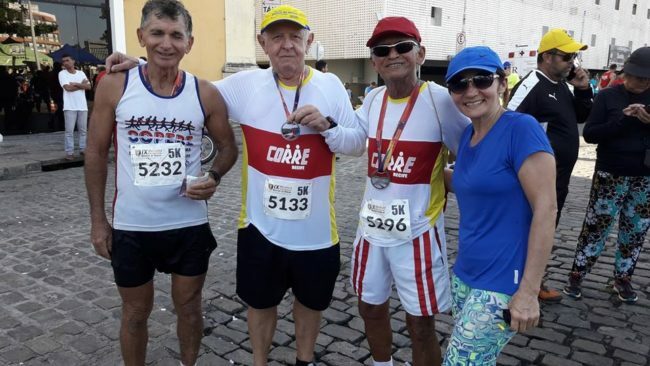 Resident of Recife, also the subscriber Cláudio da Fonte Cavalcanti, the “Caquinho”, knows well the Marathon Mauritius of Nassau, participating once again this year. “The delivery of the kits for two days, on Friday and Saturday, at the University of Mauritius in Nassau, took place without queuing, everything was very quiet, the kit was very simple and there was no map of the course. who come from the outside is without important information, the vast majority participated even in the 5 km and in the 10 km, with much less people in the 42 km and 21 km, “said Caquinho. “In the matter of hydration, there was a lot of water, but there was a lack of agility in the replacement of the stations. many riders coming in from the inside and running with a chronometer.And during the race many people were asking me how far we were.We are totally missing the reference, even more because it is two 21km rounds.In the corridor formed at the end of the race, a positive point was the presence of many advisers supporting and encouraging the participants, but the rest of the way, everything very empty, “completed the corridor. Nona edição Maratona Maurício de Nassau, no Recife, será disputada no dia 30º de Setembro. 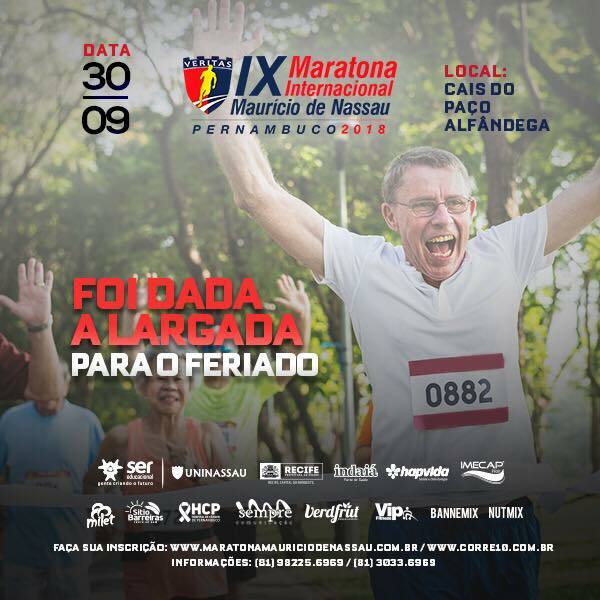 A IX Maratona Internacional Maurício de Nassau movimentará a cidade do Recife no dia 30 de setembro de 2018, a partir das 05h30 da manhã, no Recife Antigo. Cinco mil corredores, atletas e maratonistas são aguardados. Inclusive o pelotão de elite, incluindo destaques brasileiros e internacionais da modalidade. 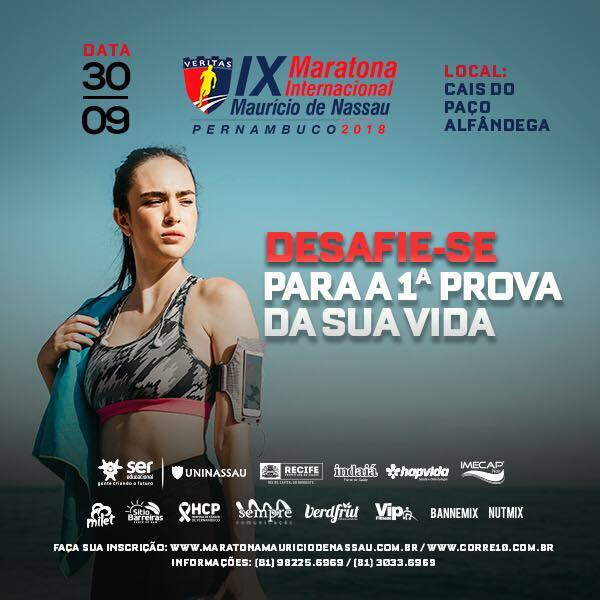 Com saídas às 05h30 para a maratona de 42km, 21 km e às 6h da manhã para 05 e 10 no Recife Antigo, os corredores poderão optar percursos de 5, 10, 21 (meia-maratona) e 42 km (maratona) e passarão por áreas turísticas do Recife. .
O percurso da 9ª Maratona Maurício de Nassau, no dia 30 de setembro, terá duas voltas de 21 km neste ano. Além dos 42 km, a prova conta com mais três distâncias: 21 km, 10 km e 5 km. As inscrições seguem abertas e podem ser feitas pelo site oficial. .
Considerada uma das principais corridas de rua do norte e nordeste do país, a nona edição da Maratona Internacional Maurício de Nassau já tem data para acontecer. Com largada no Cais da Alfândega a maratona será realizada no 30 de setembro e com novidade no horário da prova, que terá sua largada às 5h30 da manhã. As inscrições estão abertas a partir do dia 27 de julho. De acordo com a Tampa Entretenimento, espera-se mais de cinco mil corredores, atletas e maratonistas para as provas de 5,10, 21 (meia-maratona) e 42 km (maratona) e, para incentivar a prática do atletismo os cinco primeiros colocados serão premiados com medalhas, troféu e prêmios em dinheiro. Além da classificação geral, também serão bonificados os atletas portadores de necessidades especiais e universitários. As inscrições estarão sendo realizadas através do site www.corre10.com.br e o corredor inscrito terá direito a um kit contendo uma camisa do evento, chip de cronometragem, número de peito e eventuais brindes dos patrocinadores. A largada será às 5h30 de 30 de setembro. 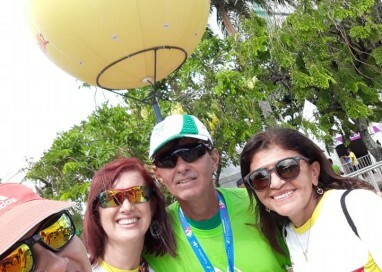 A Maratona Maurício de Nassau, no Recife, dia 1º de outubro, teve 371 concluintes (332 homens e 39 mulheres), além dos participantes nas outras três distâncias: 5, 10 e 21 km. O trajeto foi de duas voltas de 21 km e, novamente, como sempre ocorre, o calor foi o principal adversário, mesmo com a largada cedo, às 6h. Os vencedores foram Marcos Antônio Pereira (2:27:30) e Mary Emanuella da Costa (3:19:51). 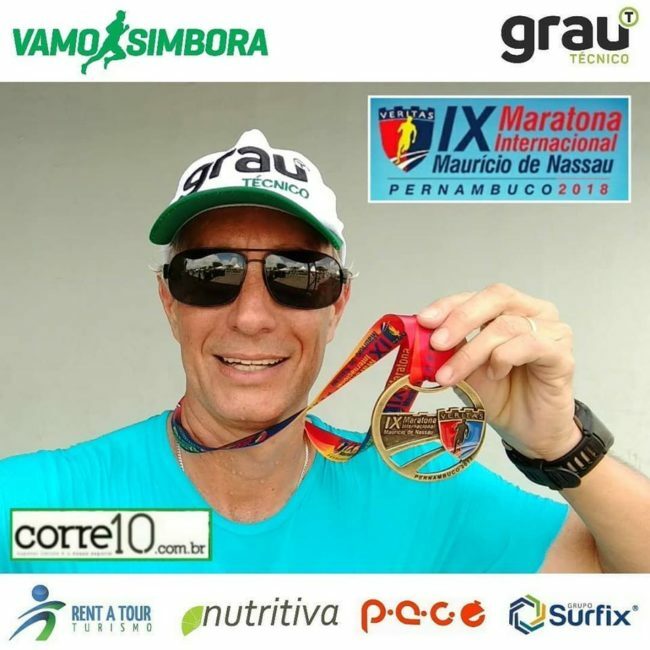 “Foi a minha 44ª maratona. Resolvi participar já sabendo da principal dificuldade: muito calor. O procedimento de inscrição foi tranquilo, pela internet, embora tenha estranhado o fato de só aceitarem o pagamento por boleto bancário. A retirada do kit também foi sossegada. No geral, achei a organização da prova correta, dentro do esperado para uma maratona evidentemente de porte menor do que outras mais tradicionais brasileiras, como São Paulo, Rio de Janeiro, Porto Alegre e Curitiba”, afirmou Alberto Bogliolo, assinante de Belo Horizonte. “Achei apenas um pouco deficiente a sinalização do percurso para quem fez a maratona. No início da segunda volta, por sinalização ruim, corri certa parte no contrafluxo de quem terminava a primeira, sendo que deveria estar em outra pista. Hidratação correta, mesmo com a alta temperatura. O dia amanhece cedo em Recife nesta época do ano, por volta de 5h e, no horário da largada, às 6h, já estava bem quente. Apenas durante um breve período houve um refresco com uma leve chuva, mas logo voltou a esquentar. Enfim, um desafio diferente, por causa do calor do início ao fim”, completou o assinante. Morador do Recife, o também assinante Cláudio da Fonte Cavalcanti, o “Caquinho”, conhece bem a Maratona Maurício de Nassau, participando mais uma vez neste ano. “A entrega dos kits durante dois dias, na sexta-feira e do sábado, na Universidade Maurício de Nassau, ocorreu sem filas, tudo bem tranquilo. O kit era bem simples e não veio mapa do percurso. Eu conheço o trajeto todo, mas quem vem de fora fica sem informações importantes. A grande maioria participou mesmo nos 5 km e nos 10 km, com bem menos gente nos 42 km e 21 km”, disse Caquinho. “Na questão da hidratação, havia bastante água, porém, faltou agilidade na reposição dos postos. Agora, o que pecou mesmo foi a falta de placas de quilometragem. Quem participou sem relógios com GPS, ficou totalmente perdido. Isso não pode ocorrer. Há muitos corredores que vêm do interior e correm com cronômetro. Ao longo da prova, muitos ficaram me perguntando em que distância estávamos. Perde-se totalmente a referência, ainda mais por serem duas voltas de 21 km. No corredor formado no final da prova, um ponto positivo foi a presença de muitas assessorias apoiando e incentivando os participantes, mas no restante do trajeto, tudo muito vazio”, completou o corredor. Mais informações e resultados completos da prova pernambucana em www.maratonamauriciodenassau.com.br.